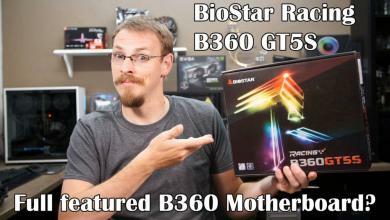 It seems that as of lately, the options for motherboards is growing rapidly. Trying to sit down and decide what CPU and motherboard combination you want to use in your next build just might be the biggest challenge yet. Not long ago I took a look at the Asus Sabertooth 55i motherboard (P55 based) and thought this time around a H55 would be in order. So, Asus sent off their P7H55D-M Evo LGA1156 motherboard for me to play with. This is a Micro-ATX board based on the H55 chipset and it supports the latest Intel Lynnfield and Clarkdale processors in the LGA1556 series. 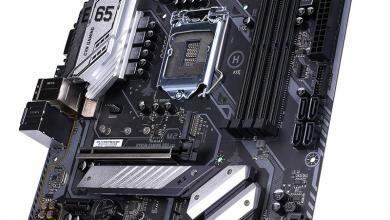 The Xtreme Design motherboards feature ground-breaking innovations and offer the best performance and reliability. With innovations like GPU Boost, users will be able to overclock the integrated GPU in real time for better graphic performance. Turbo V will allow users to easily overclock the CPU without having to leave the OS and reboot. Turbo Key takes it one more step further by allowing the user to access preset overclock profiles at the touch of a button. EPU 6 Engine allows users to control their power and performance through a simple to operate GUI. I must admit, ASUS has some pretty good looking motherboards. 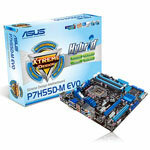 The P7H55D-M Evo is a Socket LGA1156 based motherboard that comes in a Micro-ATX form factor. Although it doesn’t look as densely populated as some boards, it packs a lot of great features. The P7H55D-M Evo runs on the Intel H55 Express chipset if you didn’t realize that by name of the board. Some of the features the board supports are: 4x DIMM dual channel, Realtek 8 channel audio, True USB 3.0, MEM OK, Turbo V, and GPU Boost to name a few. Looking at the full list of features and specs the P7H55D-M Evo has to offer, it will make for a great HTPC motherboard. Offering just about everything a user could want. LGA1156 Intel® Lynnfield/Clarkdale Processor Ready – This motherboard supports the latest Intel® Lynnfield and Clarkdale processors in LGA1156 package, which has memory and PCI Express controller integrated to support 2-channel (4 DIMMs) DDR3 memory and 16 PCI Express 2.0 lanes providing higher graphics performance. Moreover, Intel® Clarkdale integrated Graphics Processing Unit (GPU) processors which goes with Intel® H55 chipset with VGA out can bring you to the whole new experience of the next generation VGA performance. It also provides separated 3D, 2D and Video Engines to execute different graphic control in hardware. Intel H55 – The Intel® H55 Express Chipset is the latest one-chipset design to support latest 1156 socket Intel® Core™ i7/ Core™ i5/Core™ i3/ Pentium® Processors. Intel® H55 chipset improved performance by utilizing serial point-to-point links, allowing increased bandwidth and stability. Using Intel® Core™ i5 6 Series and Core™ i3 5 Series and Pentium® CPU with H55 Express Chipset to enjoy the latest Intel integrated graphic performance! PCIe 2.0 – Double Speed; Double Bandwidth This motherboard supports the latest PCIe 2.0 devices for double speed and bandwidth which enhances system performance. HDMI Support – Enjoy Full HD 1080p Multimedia Home-Theater Entertainment High-Definition Multimedia Interface (HDMI) is a set of digital video standards that delivers multi-channel audio and uncompressed digital video for full HD 1080p visuals through through a single cable. Supporting HDCP copy protection such as Blu-ray Discs, HDMI provides you with the highest-quality home theater experience. DVI Support – DVI (Digital Visual Interface) provides high visual quality of digital display devices such as LCD monitor. The interface of this motherboard supports dual VGA output both DVI-D/HDMI and RGB. True USB 3.0 – Realize the True Future!! – TRUE USB 3.0 Support! Experience ultra-fast data transfers at 4.8Gbps with USB 3.0–the latest connectivity standard. Built to connect easily with next-generation components and peripherals, USB 3.0 transfers data 10X faster and is also backward compatible with USB 2.0 components. Dual-Channel DDR3 2133(O.C.) / 1333 / 1066 support – The motherboard supports DDR3 memory that features data transfer rates of 2133(O.C.) / 1333 / 1066 MHz to meet the higher bandwidth requirements of the latest 3D graphics, multimedia, and Internet applications. The dual-channel DDR3 architecture enlarges the bandwidth of your system memory to boost system performance. GPU Boost – Instant iGPU Level Up! GPU Boost overclocks the integrated GPU in real time for the best graphics performance. User-friendly UI facilitates flexible frequency and voltage adjustments. 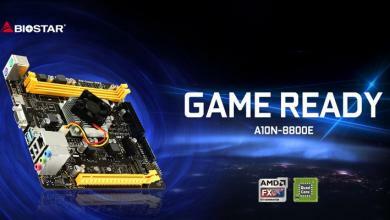 Its ability to deliver multiple overclocking profiles also provides rapid and stable system-level upgrades. ASUS TurboV – Easy, Real-Time O.C. 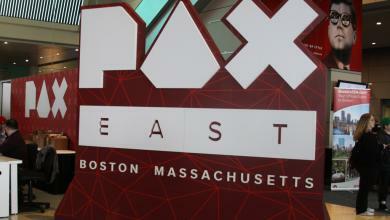 Tunings Feel the adrenaline rush of real-time O.C. – now a reality with the ASUS TurboV. This easy O.C. tool allows you to overclock without exiting or rebooting the OS; and its user-friendly interface makes overclock with just a few clicks away. Moreover, the ASUS OC profiles in TurboV provides the best O.C. settings in different scenarios.. Turbo Key – Touch-n-Boost! ASUS Turbo Key allows the user to turn the PC power button into an overclocking button. After the easy setup, Turbo Key can boost performances without interrupting ongoing work or games – with just one touch!! 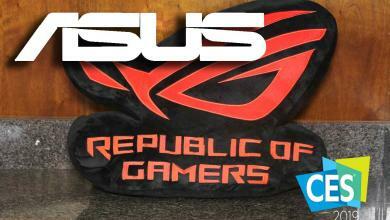 ASUS 8+3 Phase Power Design – Longer Life & Higher Efficiency! Unleashes ultimate memory performances with independent power to core components, while providing fast transient response and stability for the CPU under heavy loading or overclocking modes. ASUS EPU – System Level Energy Saving The new ASUS EPU – the world´s first power saving engine, has been upgraded to a new six engine version, which provides total system power savings by detecting current PC loadings and intelligently moderating power in real-time. With auto phase switching for components (which includes the CPU, VGA card / integrated GPU, memory, chipset, hard drives and CPU cooler / system fans), the EPU automatically provides the most appropriate power usage via intelligent acceleration and overclocking – helping save power and money. MemOK! – Any Memory is A-OK! MemOK! 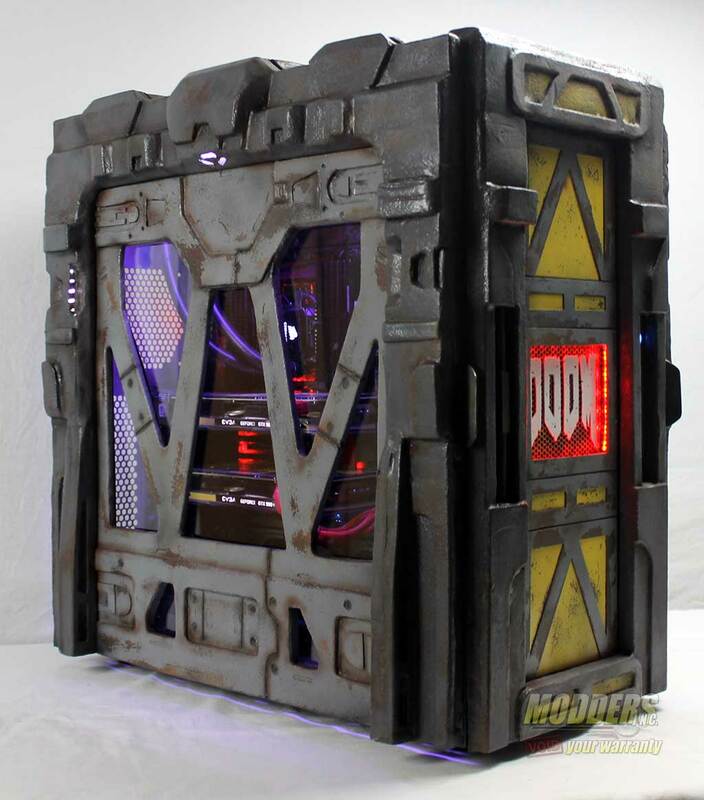 quickly ensures memory boot compatibility. This remarkable memory rescue tool requires a mere push of a button to patch memory issues. MemOK! determines failsafe settings and dramatically improves your system boot success. Get your system up and running in no time! ASUS Express Gate – 0 to Internet in Seconds! Express Gate™ is an ASUS exclusive OS that provides you with quick access to the Internet and key applications before entering Windows®. ASUS Fanless Design – Heatsink solution – The crystal-shaped heatsink features 0-dB thermal solution that offers users a noiseless PC environment. Not only the beautiful shape upgrades the visual enjoyment for motherboard users, but also the heatsink design lowers the temperature of the chipset and power phase area through high efficient heat-exchange. Combined with usability and aesthetics, the ASUS crystal-shaped heatsink will give users an extremely silent and cooling experience with the elegant appearance! Fan Xpert – Active Quiet & Cool ASUS Fan Xpert intelligently allows users to adjust both the CPU and chassis fan speed according to different ambient temperature , which is caused by different climate conditions in different geographic regions and system loading.Built-in variety of useful profiles offer flexible controls of fan speed to achieve a quiet and cool environment. EZ-Flash 2 – Simply update BIOS from a USB flash disk before entering the OS EZ Flash 2 is a user-friendly BIOS update utility. Simply launch this tool and update BIOS from a USB flash disk before entering the OS. You can update your BIOS only in a few clicks without preparing an additional floppy diskette or using an OS-based flash utility. CrashFree BIOS 3 – Simply restore corrupted BIOS data from USB flash disk The ASUS CrashFree BIOS 3 allows users to restore corrupted BIOS data from a USB flash disk containing the BIOS file. This utility saves users the cost and hassle of buying a replacement BIOS chip. O.C. 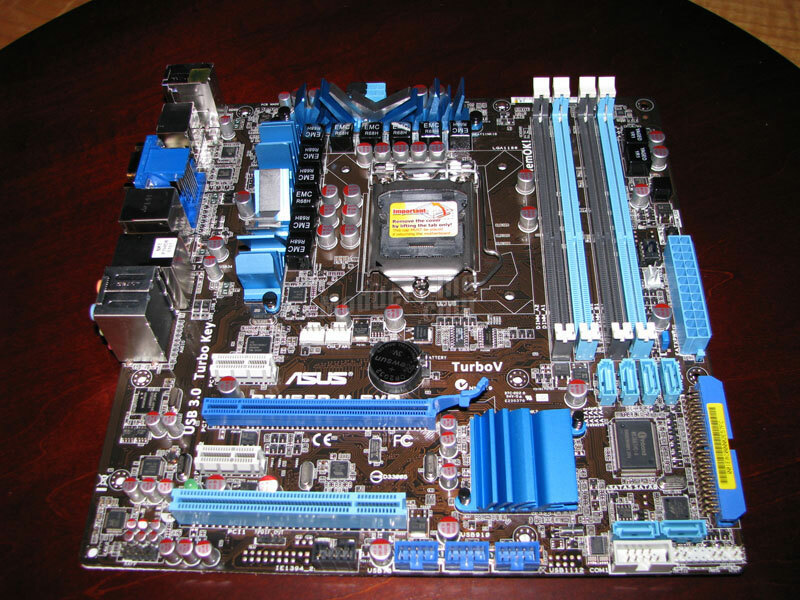 Profile – Conveniently store or load multiple BIOS settings Freely share and distribute favorite overclocking settings The motherboard features the ASUS O.C. Profile that allows users to conveniently store or load multiple BIOS settings. The BIOS settings can be stored in the CMOS or a separate file, giving users freedom to share and distribute their favorite overclocking settings. ASUS Q-Design – DIY quickly, DIY easily! ASUS Q-DIMM enhances your DIY experience by speeding up and simplifying the DIY process! Q-Connector – Make connection quick and accurate! The ASUS Q-Connector allows you to connect or disconnect chassis front panel cables in one easy step with one complete module. This unique adapter eliminates the trouble of plugging in one cable at a time, making connection quick and accurate. S/PDIF-out on Back I/O Port – This motherboard provides convenient connectivity to external home theater audio systems via optical S/PDIF-out (SONY-PHILIPS Digital Interface) jacks. It allows to transfer digital audio without converting to analog format and keeps the best signal quality. 8-channel Audio – Enjoy high-end sound system on yourPC! The onboard 8-channel HD audio (High Definition Audio, previously codenamed Azalia) CODEC enables high-quality 192KHz/24-bit audio output, jack-sensing feature, retasking functions and multi-streaming technology. Noise Filter – Eliminate background noise while recording This feature detects repetitive and stationary noises like computer fans, air conditioners, and other background noises then eliminates it in the incoming audio stream while recording. Gigabit Lan support – The on-board LAN controller is a highly integrated GbLAN controller. It is enhanced with an ACPI management function to provide efficient power management for advanced operating systems. GreenASUS – The motherboard and its packaging comply with the European Union´s Restriction on the use of Hazardous Substances (RoHS). This is in line with the ASUS vision of creating environment-friendly and recyclable products and packaging to safeguard consumers´ health while minimizing the impact on the environment. * The Intel Turbo Boost Technology support depends on the CPU types. * Hyper DIMM support is subject to the physical characteristics of individual CPUs. Some hyper DIMMs only support one DIMM per channel. Please refer to Memory QVL for details. ** Refer to www.asus.com or this user manual for the Memory QVL(Qualified Vendors Lists).